A healthy and, oh so refreshing salad that pairs well with a Japanese or Korean meal. 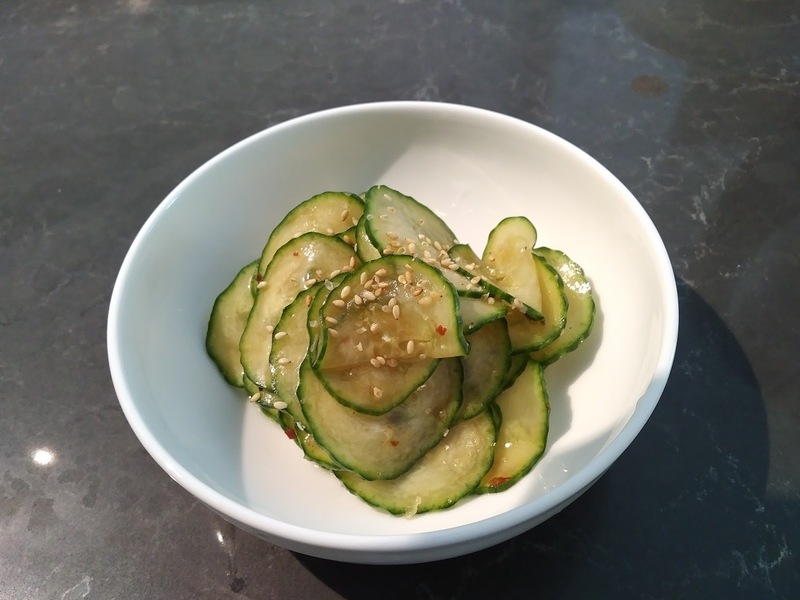 This is a twist to a traditional sunomono (cucumber) salad. 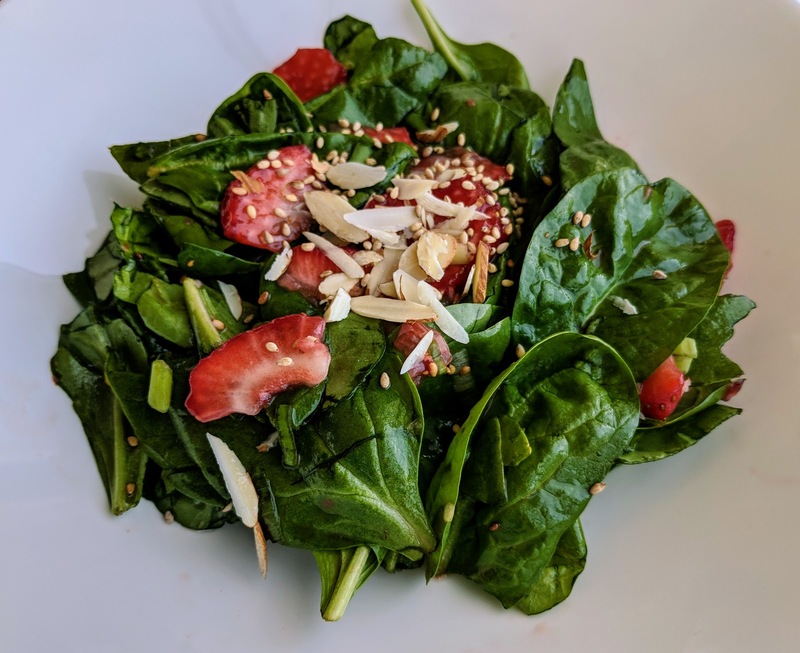 I like to mash up chili flakes, roasted sesame seeds and garlic to add a bit of a kick to the traditional version of this salad. 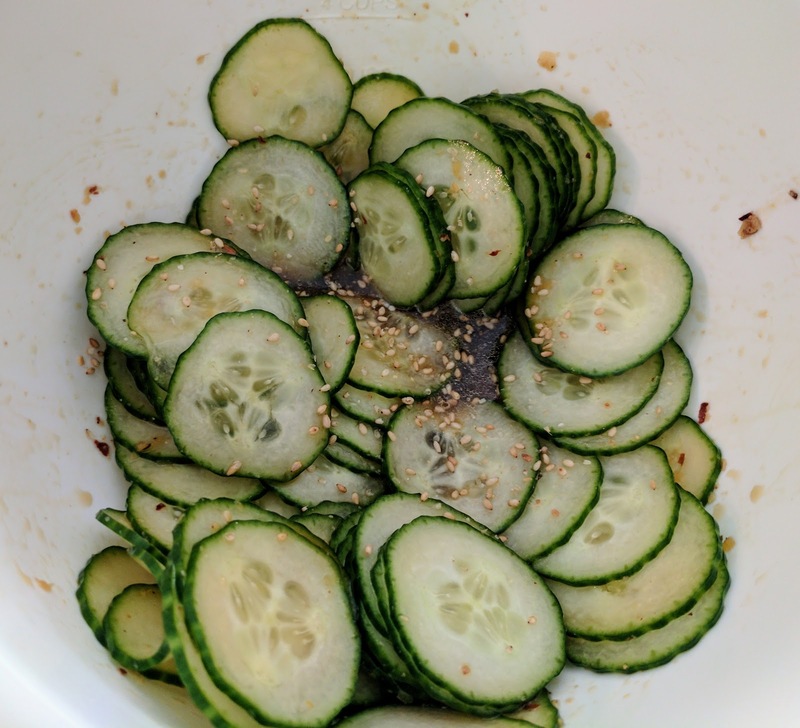 In a food processor, slice the cucumber thinly and set aside. 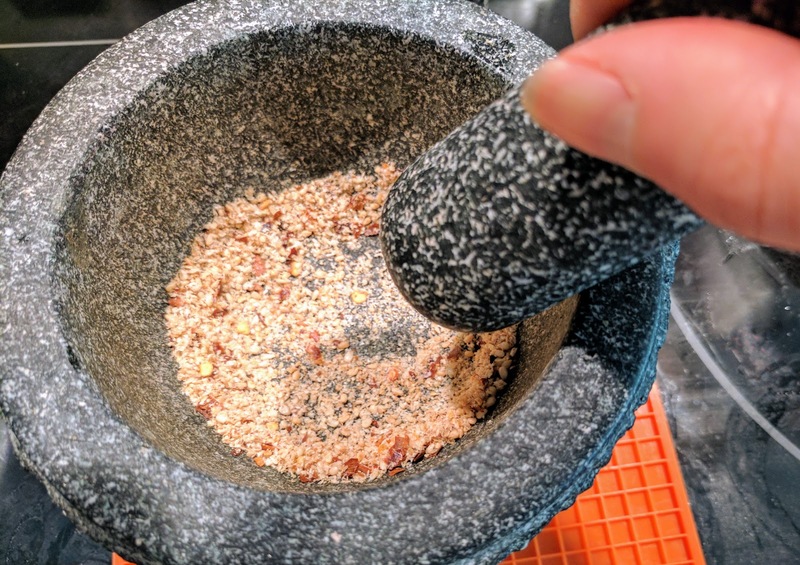 Using a mortar and pestle, crush the chili flakes, minced garlic and sesame seeds for a few min until everything is crushed and combined. 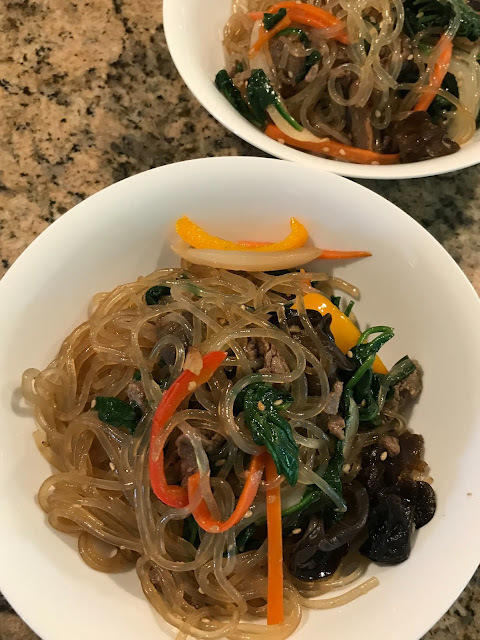 Mix the liquid ingredients (soy sauce, sesame oil rice vinegar and mirin) together in a medium bowl and add the crushed, dry ingredients and stir together. Toss the cucumber into the dressing and store in the fridge for 2 hrs to marinate before serving.